The many additions to the self build houses, the re-appropriation of an existing old factory building, or a local association to fight for more local influence. Offshoots are concrete spatial actions: building and taking space in a visual and functional way but also changing the way we talk about space. Offshoots are ongoing changes to what is already there. Always leaving little seeds of imperfection that make it open to new stories, discussions and further offshoots. This means that the process can begin again – making it less linear. One consequence of “Offshoots” is the diversity that stems from houses being an expression of the people who lives there. 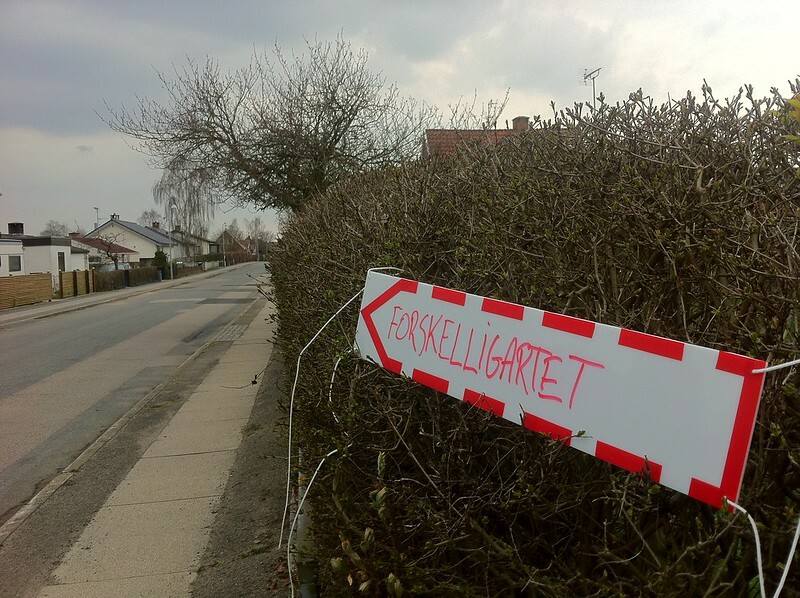 Below is the sign saying “Forskelligartet” – danish for diverse. Posted on January 23, 2013 April 5, 2013 by jensbrandtTagged Diversity, Hedehusene, Iterative, Offshoots, Process.